Calling them alternative surfboards these days almost doesn’t apply. What was once alternative has now become more or less the norm across all levels. In today’s surfing world, more people are open to surfing alternative craft simply because they are realizing that for 80% of the days we can surf, a standard shortboard can not be used to it’s full potential, and alternative designs prove to be so much damn fun. What kind of designs are we look at here? Pretty much anything than either a HPSB or Standard Longboard. We are talking about Fish’s, mid lengths, Mini Simmons, Asymmetrical boards, Finless boards, Hybrid shapes, and various combinations of all of the above. For most of us, surfing is supposed to be a fun recreational past time. In saying that, we are all aware that this recreational pastime is more of an obsession and our lives revolve around it, but for most of us, surfing doesn’t pay the bills. So for those of us who have to work other jobs to make the money, surfing needs to be fun and taken less seriously. You can still get the High Performance feel your after with alternative equipment, DHD Surfboards knows. Surfing alternative surfboards is the key to unlocking endless fun. It is also the key to get you out there surfing more often. Surfing the same board over and over again can get boring. It can also limit the amount of surfing you will actually be doing. No matter what style of board it is, you have to switch it up to keep the spark alive. If a High Performance Short Board (HPSB) is your usual go too, you are going to be limited to really having fun on it to those days that the waves are good quality…which isn’t that often. Having a variety of different boards available will keep the spark alive no matter the conditions. Blown out and mushy can easily be your go to kind of day if you have something like the V12 Flying Turtle by Surf Prescriptions. 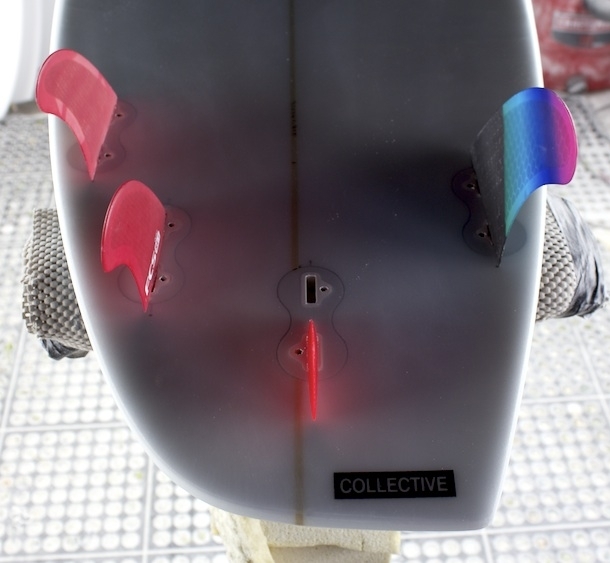 If you really want to switch it up, try a finless board. Most shapers love the challenge of creating something unique and fun, so give them a challenge next time you want to order a board. Album Surfboards can whip up anything you can dream of. If it is a small day, but the conditions are perfect and you find yourself staring at a 1 foot peeler working down a sandbar, grab an old school heavy log and reignite that timeless feeling of trim. Have fun walking up and down the board, spin around, try to hang heels, do the hokie pokie – whatever it is we guarantee it’ll be a hell of a lot more fun than mind surfing the wave pretending you are the size of a rat. Whatever you do though, don’t limit surfing these alternative boards to the small, not so appealing days. Many of these boards work extremely well in good conditions and will handle some size. Look at asymmetric surfboards for instance. In all reality, this style of board is all about progressive surfing. Experimentation is the key to fun, Chemistry Surfboards unlocking the potential in your heels and toes. Your body and the way you surf are drastically different from your toe side to your heel-side, so having a symmetric board, if you think about it, doesn’t make sense. We have all had those boards that work way better either on our frontside or backside, but not both. Creating one board that can harness the magic on each side is ideal. This goes way beyond just the rail lines being different though. The bottom contours, thicknesses and fin set up on each side need to work for that particular rail as well. When you break all of that down, asymmetric surfboards are the epitome of high performance. A mini Simmons style of board is another great example. Sure they work great in small gutless surf due to their wide outline, volume displacement, bottoms and fins, but take one out on an overhead lined up point break and you will know what I am talking about. You may not be able to snap turns and surf as top to bottom as you normally do on your HPSB, but the feeling you get of flying down the line, laying into speed carves is unlike anything. Plus, you can generally sit farther outback or much deeper, get into these waves with ease and fly past those sections you would never even dream of making on your shorty. 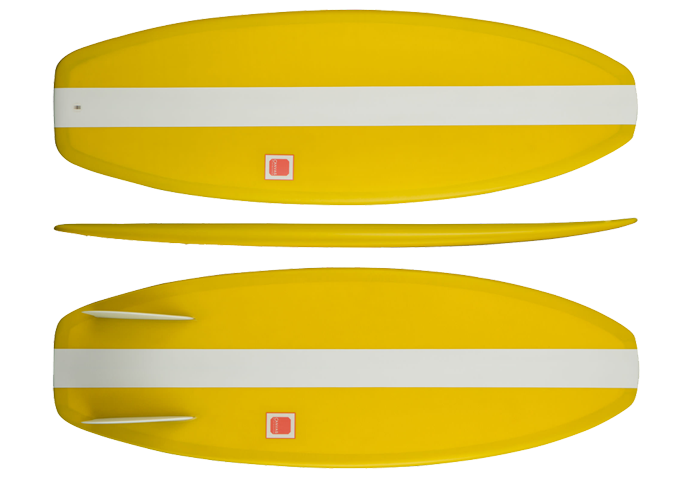 Canvas Surfboards super fast take on a classic design, the Racecar. The idea of riding alternative surfboards is to simply have fun, and to give you new sensations or experience surfing in new ways. To add to that, as stated in our previous article The Secret to Surfing Better, surfing different equipment can make you a better surfer overall when you go back to your trusty stick. They teach you to take new lines and look at waves a little different, allowing you to take new approaches to the waves even on your standard equipment. As we get older, you tend to care less about impressing your buddies or that chick you think is watching you from the beach (hint, she isn’t) and more about getting that feeling that stoked us out when we were groms. 10 years ago, my quiver consisted of a variety of HPSB, with slightly different outlines and a mixed back of squash, round and swallow tails. Now, I still have a couple HPSB (that mostly catch dust instead of waves) but my main quiver consists of anything but. 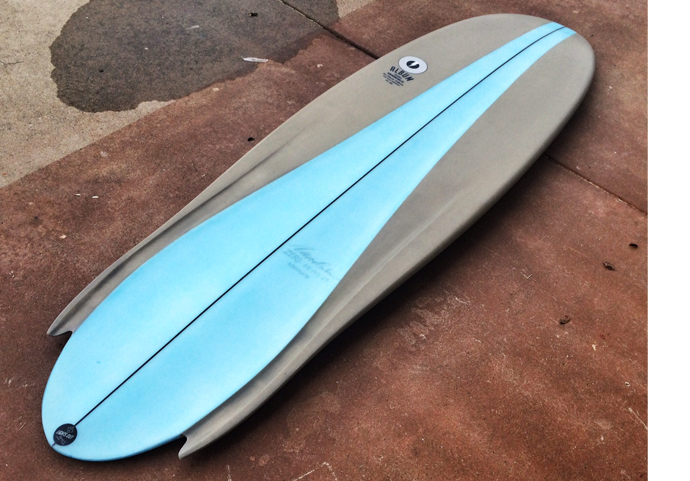 Single fins are a must have in one’s quiver, Panda’s Salty Sea Dog gives you some options. I get way more use out of my fishes, single fins, simmons, logs and mid lengths, than I do out of a HPSB. When it does come time to pull something more high performance out, it is usually in the form of a hybrid style board which still gives me all the performance I need, with the added bonus getting into waves easier…even when the waves get well overhead. All we are trying to do here is open your mind to trying new things. Again, surfing is a past-time for the majority of us, so getting frustrated and bored surfing one kind of board defeats the whole purpose to going for a surf. If you are surfing to clear your mind from the harsh realities of the world, getting pissed off at your board isn’t going to help. Have fun, stay stoked and surf lot’s of boards!